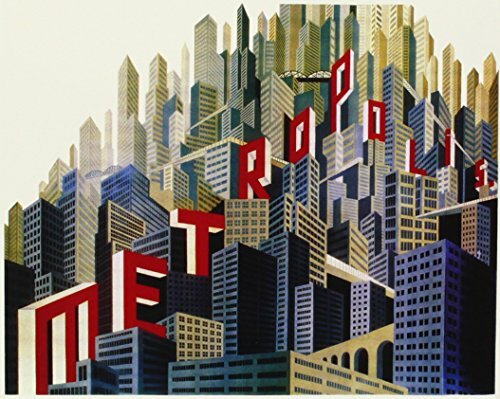 Continuing my mission to watch more of the classic movies I’ve never seen, my latest film was Fritz Lang’s ‘Metropolis’ from 1927. Being German, this is the first non-American film from my list, and possibly the oldest. It’s also the first black and white film on the list, and the first time I’ve ever watched a silent movie. Despite struggling to keep up with the story at times, I did love the Art Deco styling in this 1927 impression of a dystopian future. It’s always fascinating to me to see what people think the world will be like, and how it compares to the reality. I was very impressed with some of the special effects, especially in the robot scene. Obviously by today’s standards it’s nothing special, but this is a film from 91 years ago! 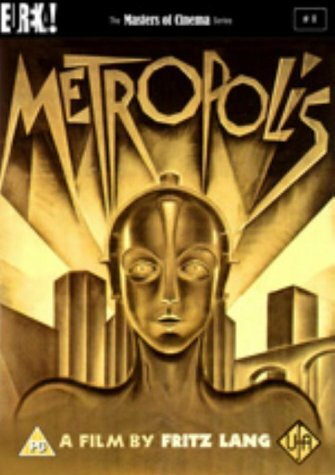 So once I got past the over dramatic ‘stage’ acting, what is Metropolis actually about? Well I’m still not entirely sure. There was a scene involving the Tower of Babel, and also a very strange burlesque strip show performed by the robot double of the main heroine Maria. The general premise is that this is a two class society, with the workers and the upper class. There’s some sort of revolution, lead by the robot double, which destroys the main power station, endangering the children. The children are rescued by the main protagonist and Maria, and because of that, the rioting is able to be stopped and everyone becomes friends at the end. Apparently this was a restored version of the original film. Shortly after it’s premiere, it was cut up and shortened. It wasn’t until they found an original copy in Argentina a few years ago that they were able to reconstruct it as it was meant to be seen. The only downside is that the Argentine version was on badly degraded 16mm film, and so various shots from the movie have poor image quality and black borders, but this doesn’t really impact viewing as much as you’d think. At 2 hours and 33 minutes, Metropolis was a challenge to get through. Partly that was due to not having a clue what was going on for much of it. I did find myself beginning to nod off during the last 20mins or so, but managed to stay awake... just.